Main Waste Solutions provide an easy, cost effective way of disposing commercial waste and suppling your business with all the relevant paper work and consignment notes. Call us on 0141 438 2315. 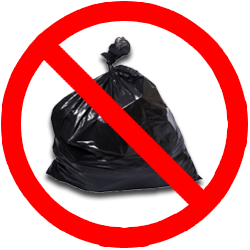 We will take all the details and assess your waste disposal requirement. An exact price will be given once our trained operatives have seen your waste and access the work required. Our professional team will lift your waste and load the Junk Collector vehicle at the agreed time slot. About 70% of the waste collected is recycled. The remainder is diverted from landfill to an energy from waste facility. All waste collections are complete with a Waste Transfer Note and Hazardous Waste Transfer Notes (when applicable). Our waste collection service allows us to clear out offices of furniture, chairs, wooden pallets, WEEE (electrical items and computers for recycling), confidential documents for shredding and hazardous waste streams. Should you require a skip for progressive rubbish removal over a weekend or week then we have a range skip sizes and competitive prices. Please click on the link below for a full list of our skip hire prices.